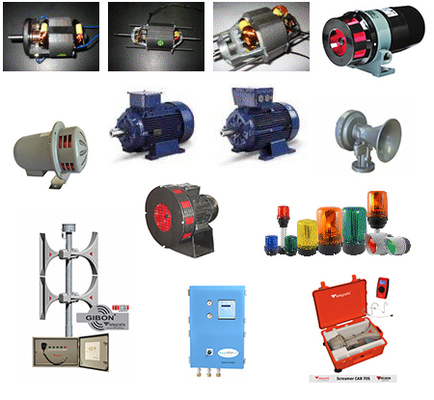 UMMAC founded in 1985 to provide a reliable source of AC/DC universal electric motors for the security siren operation of the business as well as for the white goods OEM manufacturers. Trading under the name UMMAC the company comprises of a manufacturing as well as a distribution/wholesale division for the electric motors & security, public safety and water purifier products that it has over the years specialised in. UMMAC specialises in the design and manufacture of AC and DC brush and brushless motors. We supply electric motors for everyday industrial, mining and refrigeration applications to its extensive range of bearings, seals and power transmission and refrigeration products. Acoustic warning systems have been used to provide warnings in emergency situations for ages. Beating on various metal objects was used in ancient times; later bell towers were built for this purpose and at the beginning of the 20th century mechanical rotating sirens started to appear. Best used as an external ringer for telephone system in a factory. The E2S Marine range is best suited for all marine and salt spray conditions. High output sounder and beacons with IP67 protection. Ideal for harsh environments with high ambient noise levels. Ideally used for Time and Attendance & Home Security. Ranges from 500m up to 1km. Acoustic warning systems have been used to provide warnings in emergency situations for ages. Perfectly suited as startup alarms on conveyor systems and for the fire industry. Ranges up to 600m.